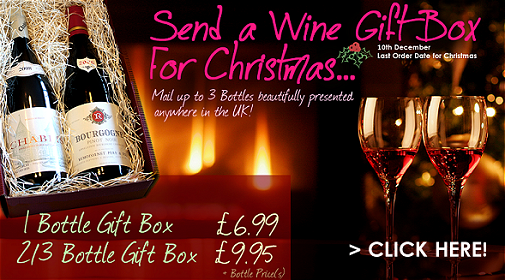 Christmas Wine Tasting 4th December! 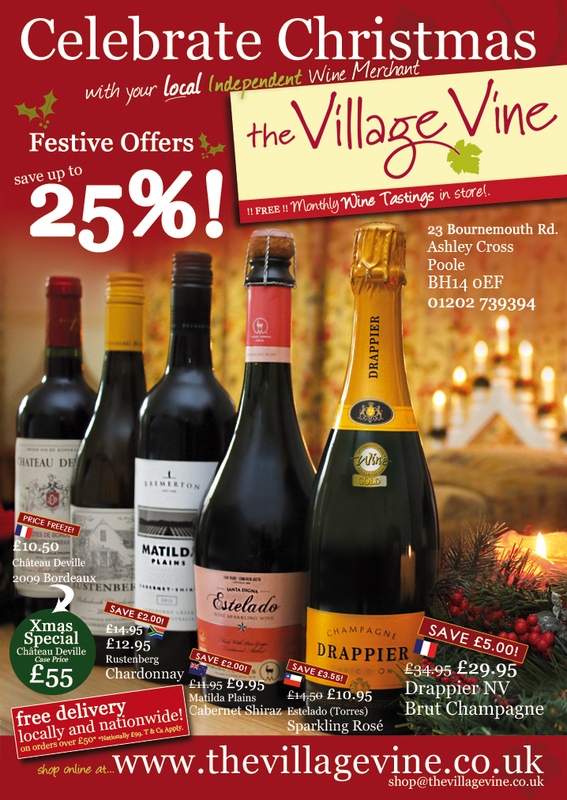 Between 1pm – 7pm on Saturday 4th December, The Village Vine will be hosting their Christmas Wine Tasting! 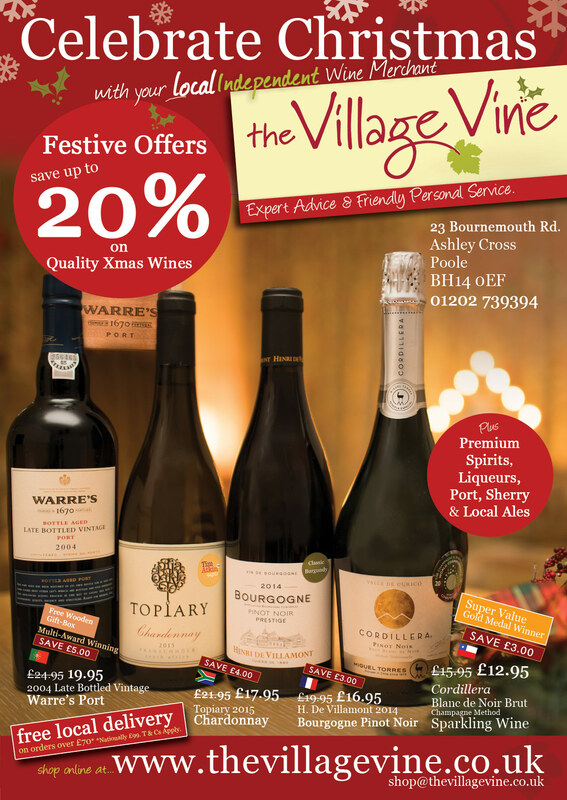 We’ll be uncorking some Christmas Fizz – a new Prosecco that may prove to be a winner over the Christmas period as well as various other wines that you might like to add to your Christmas wishlist. All welcome, we look forward to seeing you again! 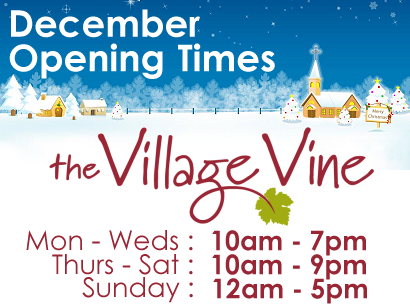 Over December in the run-up to Christmas, The Village Vine will be opening for longer! We will be open every day (including Sundays) and an hour earlier Monday to Wednesdays. 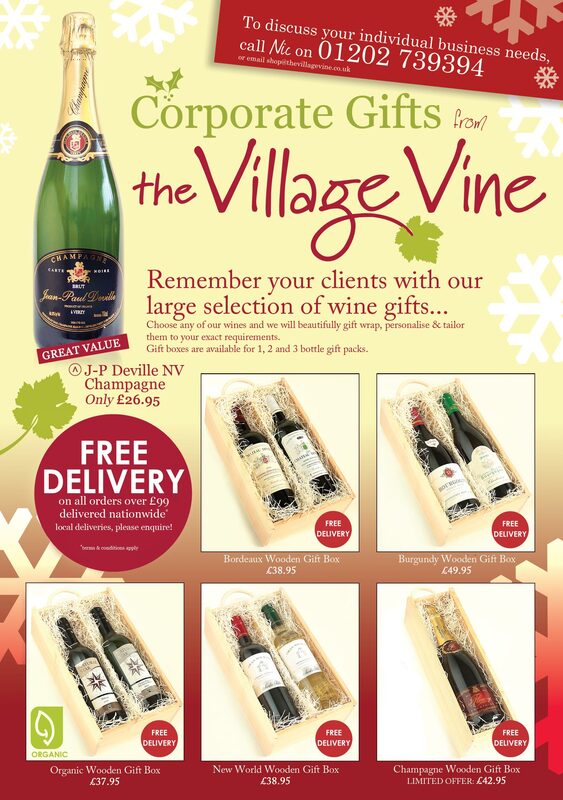 Please be aware that our courier will be not be operating from Saturday 25th – Thursday 30th so we cannot guarantee to deliver orders placed after Christmas in time for New Year.